The Powershares QQQ 300 at Daytona (Fla.) International Speedway is the first of the 33-race NASCAR XFINITY Series schedule and the first of six restrictor-plate races in the 2018 season. 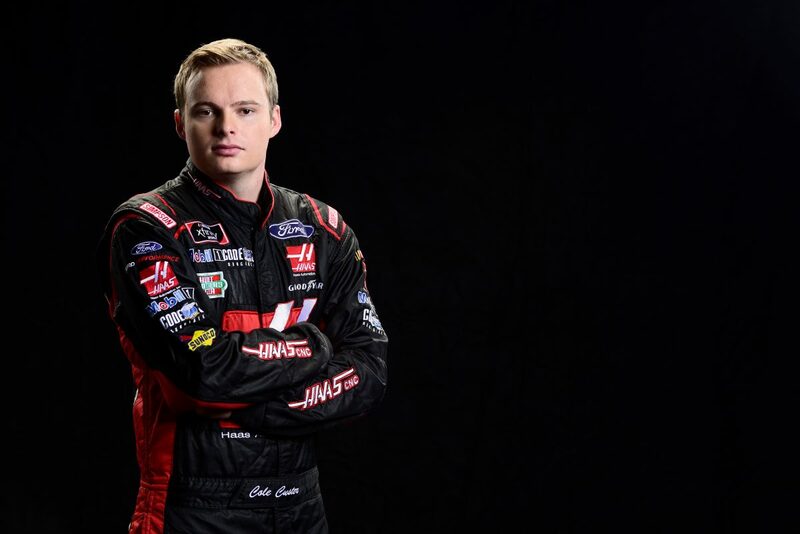 Custer has competed in seven career restrictor-plate races, including four last season in the XFINITY Series – twice at Daytona and once each at Talladega (Ala.) Superspeedway and Indianapolis Motor Speedway. He also competed at Daytona and Talladega once each in the Camping World Truck Series in 2016, and once at Daytona in ARCA, also in 2016. His best Truck Series finish was 24th at Daytona and his best ARCA finish was 10th at Daytona. Custer won the pole for the 2016 ARCA season opener at Daytona, becoming the youngest pole winner in Daytona history among the ARCA, Truck, XFINITY and Monster Energy NASCAR Cup Series. NASCAR XFINITY team Biagi-Denbeste joined forces with Stewart-Haas Racing over the offseason. The XFINITY team is now formally recognized as Stewart-Haas Racing with Biagi-Denbeste. Biagi-Denbeste’s track record at restrictor-plate races includes back-to-back superspeedway wins – 2016 at Daytona and 2017 at Talladega. Custer’s teammate at Daytona this weekend is reigning Talladega XFINITY Series winner Aric Almirola, who will pilot the No. 98 Smithfield Ford. The No. 00 Haas Automation Ford Mustang is powered by a Roush Yates Engines FR9 Carb V8 engine. In 2017, Roush Yates won three of the four Monster Energy NASCAR Cup Series restrictor-plate races and one XFINITY restrictor-plate race. Custer scored his first career XFINITY Series win at the 2017 season-ending Ford EcoBoost 300 Nov. 18 at Homestead-Miami Speedway. His nearest competitor, three-time IndyCar Series champion and 2006 Indianapolis 500 winner Sam Hornish Jr., was a distant 15.405 seconds behind. Custer led three times for a race-high 182 laps to set a record for the most laps led in a single XFINITY Series race at Homestead. He earned a perfect driver rating (150.0) by sweeping both stages of the race and taking the victory. The win punctuated a strong season that included seven top-five finishes and 19 top-10s with 301 laps led. Custer finished the 2017 XFINITY Series fifth in the final standings. Custer competed in the IMSA Continental Tire Sports Car Challenge race at Daytona Jan. 26 and earned a third-place finish – his first IMSA podium. Do you think the superspeedway program has improved from 2017? How different is this January compared to January 2017? Do you think the competition will be easier or more difficult this season? What is racing around Daytona like? You were able to spend time road-course racing last month in the IMSA Continental Tire Sports Car Challenge at Daytona. Did that better prepare you for the season? Do you feel better prepared for Daytona than last year? You battle the entire year and don’t get a win until Homestead. Are you headed into the season with more confidence? How has Cole grown over the past year?